Every business needs to ensure that there is always a smooth flow of operations within the working environment. One of the ways this can be done is to organizethe workforce HR schedule that the company will follow. 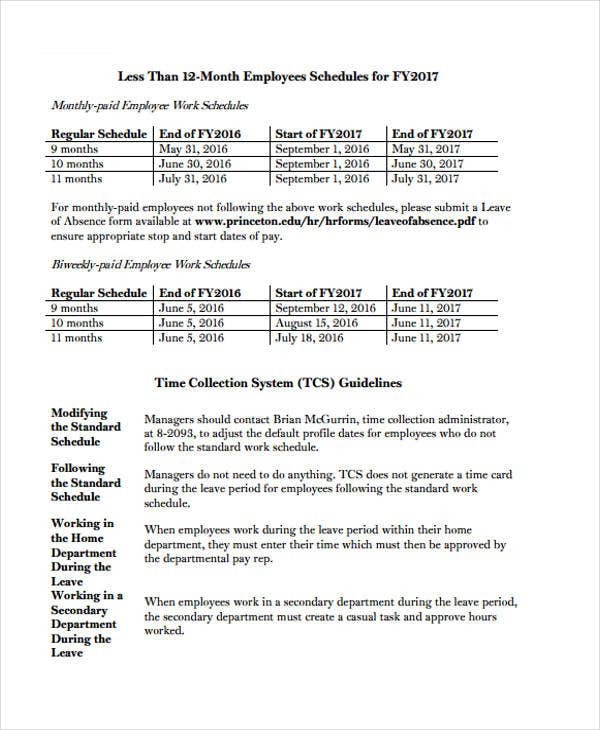 A document that can help you make sure that proper scheduling is done for the workers of the business is the employee work schedule. 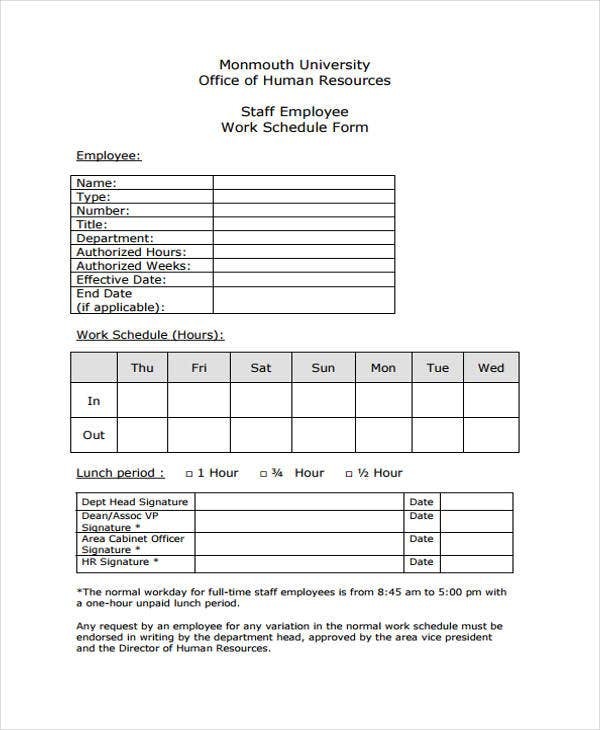 Do not worry if you have not created this particular document yet as we can give you samples and templates of employee work schedules that you may all download from this post. May it be a precise work schedule or a flexible work schedule that you will implement, it will truly work best if you have a template to follow. Employee work schedules ensure that all the employees are aware of the time frames they are expected to be at their posts. 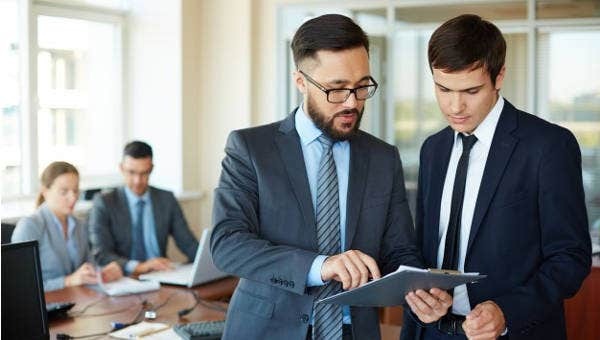 This document helps the management to properly plot the work force within particular times of the day especially during business peak seasons. An employee work schedule champions an equal allocation of tasks done within specific time duration. Employee work schedules make sure that the policy in terms of rest periods are followed. Specify the operational hours of the business. Identify the number of employees in each departments of the business. Use any of our free schedule templates used in this particular purpose. 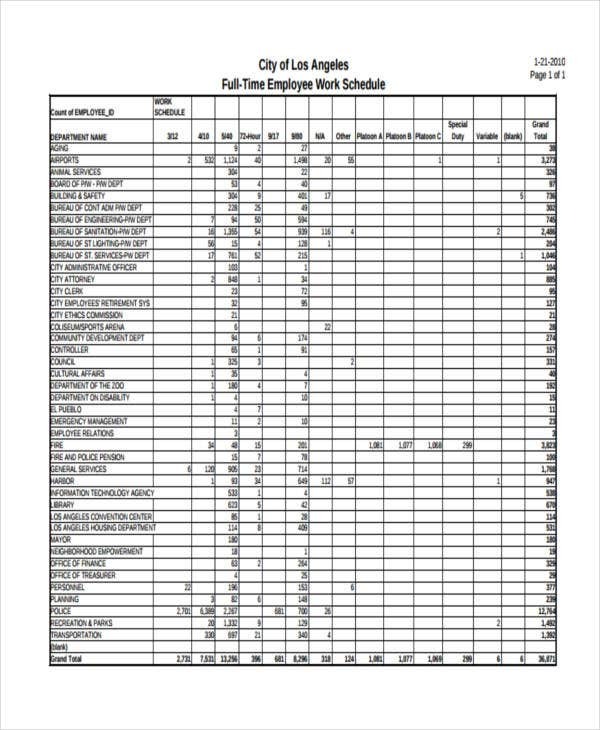 Plot the work functions that are needed to be executed within a day and align the number of people who will be tasked to implement the items being listed. 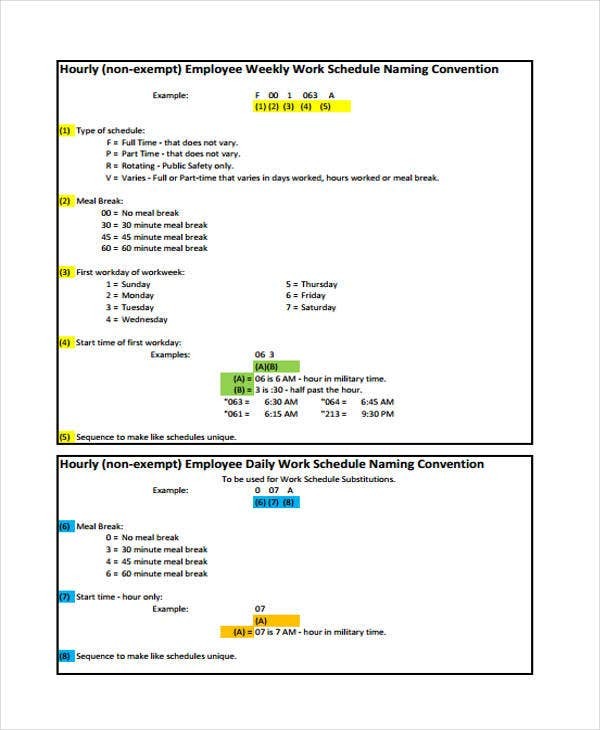 Identify the break schedules of the employees in your work schedule template as well. Ensure that all the entities involved in the process where the work schedule will be used are aware of the content of the document. 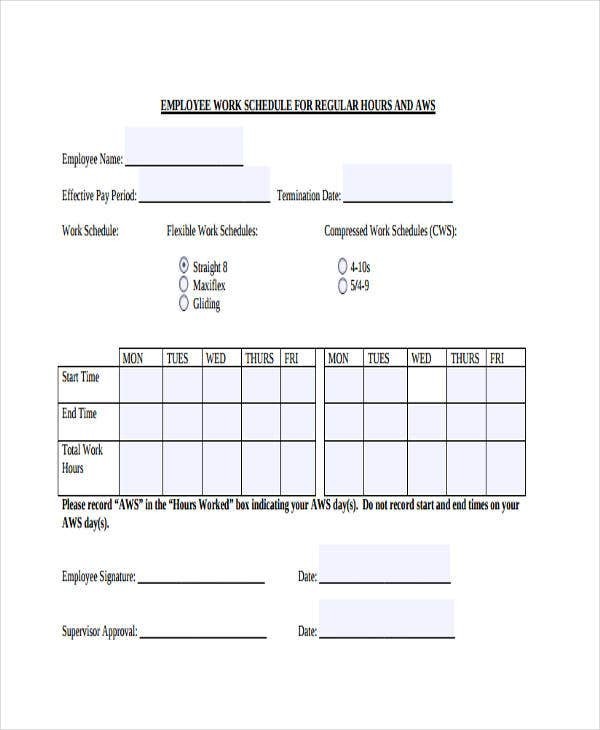 Provide a copy of the employee work schedule to all the departments where specific schedules will be implemented. 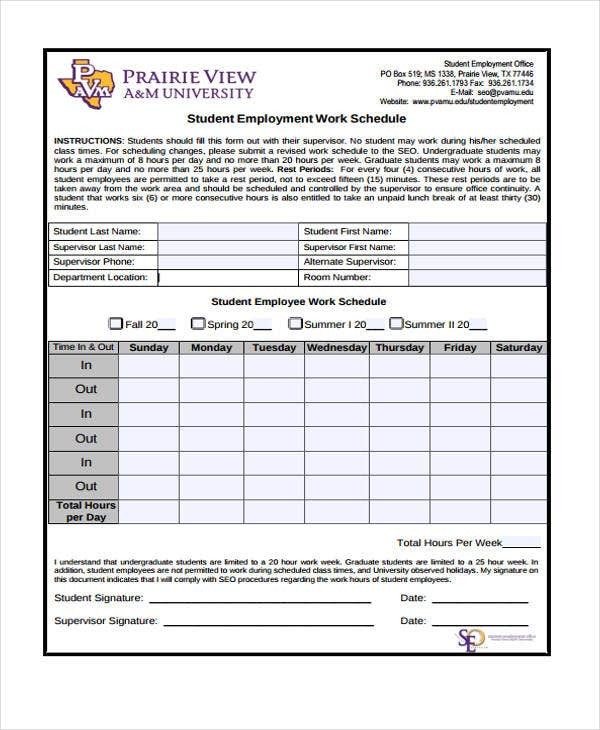 A complete printable schedule template may also be sent electronically so that the departments will have a copy that they can print or reprint anytime. Be specific with the time frames that will be indicated in the schedule. 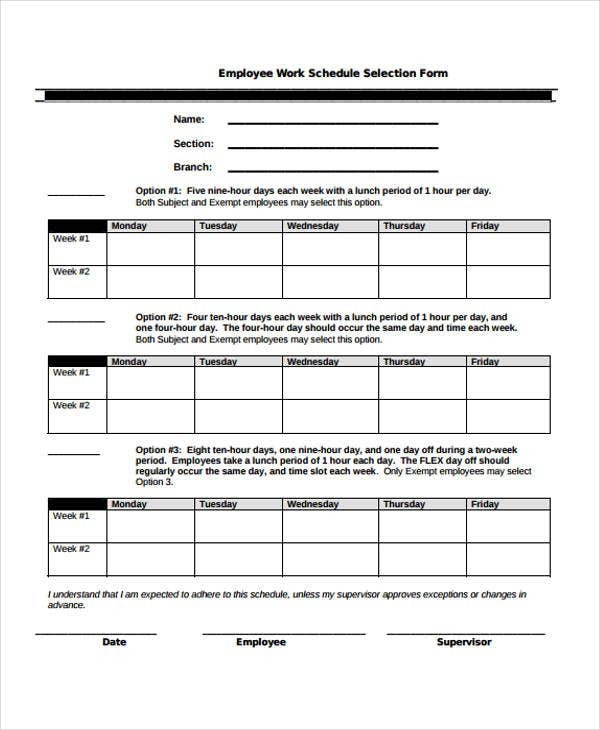 Use a daily work schedule template if there are special projects that are needed to be done on a daily basis or there are changes that are needed to be known every day of the operations. Plot the exact functions that are needed to be done by the employees. 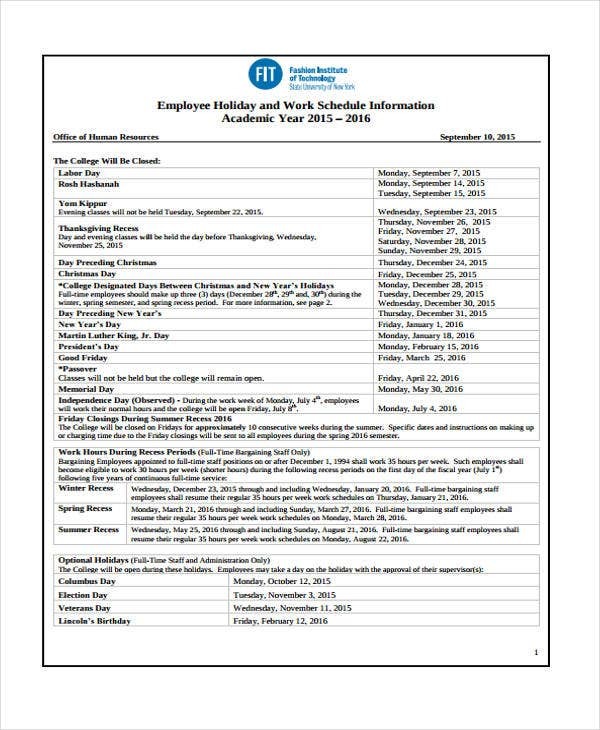 It will be best to provide schedule policies and guidelines for usage on the lower part of the employee work schedule. An employee work schedule can truly do a lot of wonders to the operations of a company. Following the above mentioned guidelines can help you in starting your endeavor to create a more organized workforce schedule.